LEXUS IS200 GEARBOX AUTOMATIC 2.0L. FOR :- LEXUS IS200. Helpful Links. WE DO NOT COVER ANY LABOUR COSTS. All parts supplied are either marked or stamped and removal or tampering of these markings will not be covered by the warranty. Engine Code / Other Details:2.0 Petrol - Engine Code 1G-FE - In Good Working Order. Item:1G-FE Engine. This part was removed from a2002 RHD vehicle. Removed from good running Lexus IS220d 2.2d manual 2007 Right Hand Drive with low mileage 116k. Engine code : 2AD-FHV. 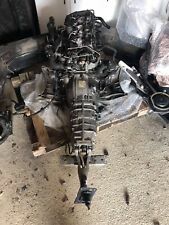 lexus is220d engine & gearbox. Condition is Used. bare engine! No injectors, turbo, egr!! Clutch and flywheel included! Collection only! 07725188649 have more Lexus parts! LEXUS IS300H 2.5 PETROL HYBRID ENGINE. YEAR: 2015. ENGINE CODE: 2AR-FSE. MILEAGE: 1,500. FULLY RUN UP AND TESTED. THIS ENGINE WILL BE SUPPLIED COMPLETE WITH THE FOLLOWING Our vast range of parts include everything required to repair salvage vehicles, all engine ancillaries, automatic and manual gearboxes, diesel and petrol engines. ENGINE CODE 4GR. LEXUS IS250 2.5 V6 PETROL ENGINE COMPLETE AS IN THE PICTURES. COLLECTION ON PERSON FROM SLOUGH. COLLECTION ON PERSON. WE TRY AS WELL TO NOTE ANYTHING YOU WOULD WANT TO KNOW ABOUT ITS CONDITION OUTSIDE OF WHAT YOU'D EXPECT FOR ITS AGES. This listing is for the pictured engine removed from a 2014 Lexus IS 2.5 Petrol/Electric with an engine code of 2AR-FSE (133/164KW) and ONLY 5424 miles. The engine was tested by hand only upon removal and comes with a 90 day guarantee. Please note the term "engine" refers to the cylinder head/block and the components that make these up (i.e pistons, camshafts etc) and does not include ancillaries. Any ancillaries left on the engine like water pumps, power steering pumps and cambelts are given free of charge and not covered with the guarantee. The engines are all drained of oil so we recomend a new oli filter and cambelt before fitting. If you are unsure about fitment to your vehicle please message us through ebay. THERE WILL BE EXTRA COSTS FOR DELIVERIES ABOVE THE NORTHEN BELT PLEASE CALL BEFORE PURCHASE FOR FURTHER INFO. 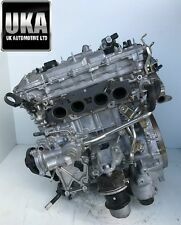 2.5 V6 Bare Petrol Engine code 4GR. PART NO: 4GR Engine Code. REMOVED FROM 2014 LEXUS IS250 F-SPORT PETROL AUTOMATIC. WILL FIT LEXUS IS 250IS 300 IS 350 2.5 V6 PETROL MODELS BETWEEN 2014-ONW. ITEM IN EXCELLENT GOOD CONDITIONCAR HAS DONE ONLY 24k. LEXUS IS220 DIESEL 2005 - 2013 ( XE20 ). OTHER IS220 / IS250 PARTS COMPLETE 2.2 DIESEL ENGINE. ENGINE WILL BE WITH DIESEL PUMP AND MOST SENSORS. IN VERY GOOD CONDITION AND FULLY WORKING ORDER. FULLY TESTED AND WORKS PERFECT. ENGINE CODE: 2AD. LEXUS IS 220D 2005-2010 2.2 BARE ENGINE DIESEL 95K. ALL OIL ECT ARE DRAINED FROM THE ENGINE. ENGINE MILEAGE: 95213. USED CONDITION SEE PICS TO MAKE DECISION. ENGINE CODE: 2AD. LEXUS IS 220D 2005-2013 2.2 BARE ENGINE DIESEL 103K. ALL OIL ECT ARE DRAINED FROM THE ENGINE. ENGINE MILEAGE: 103197. ITEM CONDITION. LEXUS IS SERIES 06-09 IS 220D 2.2 DIESEL BARE ENGINE 2AD-FHV 78K MILES WARRANTY! MILEAGE 78K. MAKE LEXUS. ENGINE 2.2 2AD-FHV 177BHP. ITEM CONDITION. P/N -2AD-FHV. PAINT COLOR BLACK 212. LEXUS IS250 SE-I AUTO 2011 2.5 PETROL BARE ENGINE. REMOVED FROM A 2011 LEXUS IS250 SE-I 6 2.5 PETROL 6 SPEED AUTOMATIC. ENGINE CODE: 4GR-FSE. ENGINE MILLAGE 17,349. You must be 100% sure that the details supplied in the advert match. ENGINE CODE: 2ADFHV 80K MILES. LEXUS IS 220D 2.2 DIESEL 174 BHP 2007-2012. MODEL: IS 220D. FUEL TYPE: 2.2 DIESEL. Astra H 3dr Black 2007 1.6. Alloy wheels and tyres. we have full testing facilities and send them out fully tested for flat spots and punctures. LEXUS IS250 2.5 V6 PETROL ENGINE. This listing is for the pictured engine removed from a 2015 Lexus IS 2.5 Petrol/Electric with an engine code of 2AR-FSE (133/164KW) and 27,168 miles. The engine was fully tested upon removal and comes with a 90 day guarantee. Please note the term "engine" refers to the cylinder head/block and the components that make these up (i.e pistons, camshafts etc) and does not include ancillaries. Any ancillaries left on the engine like water pumps, power steering pumps and cambelts are given free of charge and not covered with the guarantee. The engines are all drained of oil so we recomend a new oil filter and cambelt before fitting. If you are unsure about fitment to your vehicle please message us through ebay. ENGINE CODE: 2AD. ENGINEMILEAGE - 71K. LEXUS IS 220D 2005-2013 2.2 BARE ENGINE DIESEL. ALL OIL ECT ARE DRAINED FROM THE ENGINE. ENGINE MILEAGE: 103197. USED CONDITION SEE PICS TO MAKE DECISION. LEXUS IS SERIES Engine 0000324671. 2: Engines and gearboxes are drained of oils/fluids prior to dispatch. 1: We do not cover cambelt or consumables failure. Any ancillaries supplied on engine not stated as included are not covered by Pic Up Spares warranty. LEXUS IS250 V6 2.5 PETROL ENGINE 4GR IN GOOD WORKING ORDER. VEHICLE: LEXUS IS200. LISTED ITEM: 2.0 PETROL ENGINE. ENGINE RAN A1 - NO ISSUES. Engine removed from a 2003 Lexus. Fully tested & checked. ENGINE CODE: 1G-FE. Dvla approved End of life vehicle centre. 2AR-FSE 2ARFSE 19000-36480 ( ). Fuel type: Petrol. 2014 LEXUS IS SERIES Engine. This item has been removed from a: 2014 LEXUS IS SERIES. Year: 2014. Make: LEXUS. The item for sale is a Serviceable Engine consisting of the cylinder head(s) and Engine Block only. 2005 Lexus IS 200 MK1 GXE10 2.0 Petrol 1G-FE 72960 Miles It will come as a bare engine without ancillaries In good condition and full working order. LEXUS IS200 2.0 LTR 2002-2004 BARE ENGINE PETROL 1G-FE. THIS DOES NOT COVER NI, HIGHLANDS AND OFFSHORE CHANNEL ISLANDS. PART FITS TO - LEXUS IS200 1999-2005 MODEL. FROM LOW MILEAGE LEXUS IS200. WILL FIT ALL IS200 MODELS 99-2005 S SE SPORT. AUTO AND MANUAL. THIS IS GENUINE LEXUS / TOYOTA PARTS. RUNS VERY SMOOTH AND VERY RESPONSIVE. ENGINE IS IN GOOD CONDITION AND WORKING ORDER. 6 CYLINDER. TO FIT LEXUS IS200 & IS300 99-2005. 2.0 VVTI 1G FE PETROL ENGINE. HE ENGINE IS IN A VERY GOOD CONDITION.THERES NO NOISES AND NO KNOCKING. ITS ALL DRY, NO OIL LEAKS OR WATER. Engine runs very smooth, no noises. As this is a second hand engine, you must let us know of any faults as soon as its fitted. we cant be held responsible for any faults after you have fitted and ran the engine ! REMOVED FROM A 2008 IS XE20 (MK2) IS250 WITH ENGINE CODE 4GR-FSE. GEARBOX CODE- L6. MILEAGE- 87K MILES. PART NUMBERS- K25481-3057. COLLECTION ONLY. New cylinder liners fitted. New uprated gas nitride piston rings fitted. New OEM big end bearings fitted. New OEM main bearings fitted. New OEM spec eristic head gasket fitted. ENGINE CODE Engine block throughly cleaned & surfaces treated. This engine was removed from a running vehicle. Item Specifics:2005-2015 - MK2 - 2.5 PETROL - AUTOMATIC - ENGINE 4GR - SUPERB RUNNER. Model:IS SERIES. This Engine was removed from a2008 car and has been fully inspected. standard 3 Month Warranty. NEW GENUINE TOYOTA ALTEZZA / LEXUS IS200 / IS300 FRONT GRILLE DARK RED EMBLEM BADGE. The Altezza emblem will give a more sporty look to the front of your IS200. The emblem may require use of the JDM Grill or modification to existing grill. Lexus IS220d 2.2D Diesel Engine 2AD-FHV 2005-2010. Condition is Used. Dispatched with Other 24 Hour Courier. PART: 2007 Lexus IS 2.5 Petrol 4GR Engine PART NUMBER/MAKE: 2007 Lexus IS 2.5 Petrol 4GR Engine ADDITIONAL COMMENTS: SUMP WILL NEED SWAPPING WARRANTY (PARTS ONLY): 3 MONTHS – FREE 6 MONTHS – AN ADDITIONAL 10% OF BUY IT NOW PRICE 12 MONTHS – AN ADDITIONAL 20% OF BUY IT NOW PRICE NO WARRANTY INCLUDED ON CORE UNITS (ENGINES & GEARBOXES) WE DO NOT OFFER EXTENDED WARRANTIES ON PARTS THAT HAVE BEEN ACCEPTED AS A BEST OFFER FAILURE TO SUPPLY ANY EXCHANGE ENGINES OR GEARBOXES WILL INVALIDATE YOUR WARRANTY WE DO NOT COVER ANY LABOUR COSTS EXCHANGES: ENGINES, GEARBOXES & DPFs/CATs ARE SOLD ON AN EXCHANGE BASIS – PLEASE MESSAGE US THROUGH EBAY AND WE WILL COLLECT THE CORE UNIT FREE OF CHARGE RETURNS: ALL RETURNS MUST BE PROCESSED THROUGH EBAY IF YOU WOULD LIKE TO REQUEST A RETURN: 1.